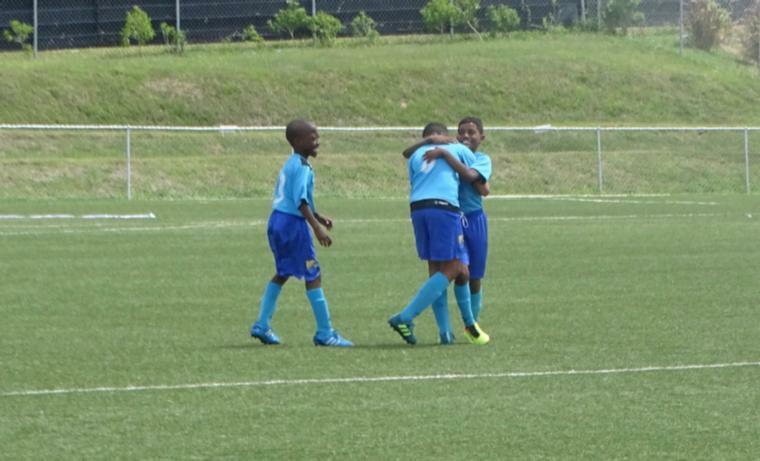 The Young Tridents celebrating with Nathan Skeete after his 34th-minute screamer. Although they are a squad still in transition the national Under-17 team closed out a week of activity on a high note. 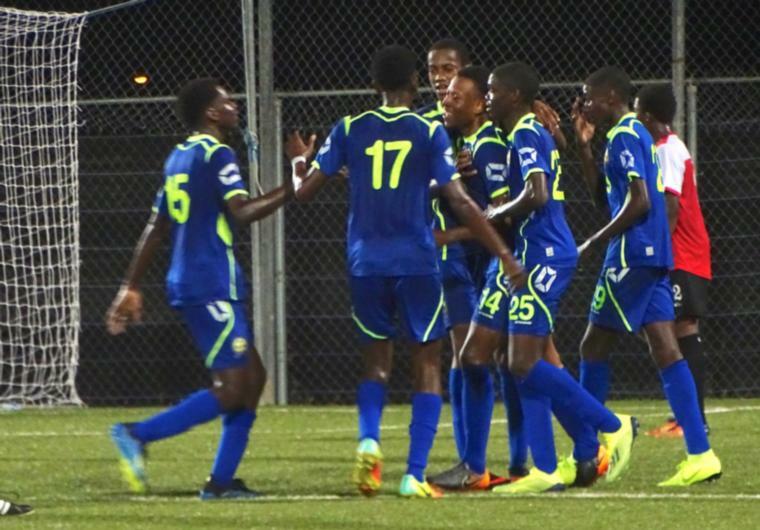 With their sights set on the Concacaf Under-17 Championship, a competition that could see them qualifying for the 2019 FIFA Under-17 World Cup, the Young Tridents had a clean sweep of their international friendly series. After taking on Antigua twice on Wednesday and Thursday, the U-17s rounded out the week with a 2-0 win over St Kitts and Nevis after they were held to a 3-2 loss at the hands of the Under-15s on Saturday. 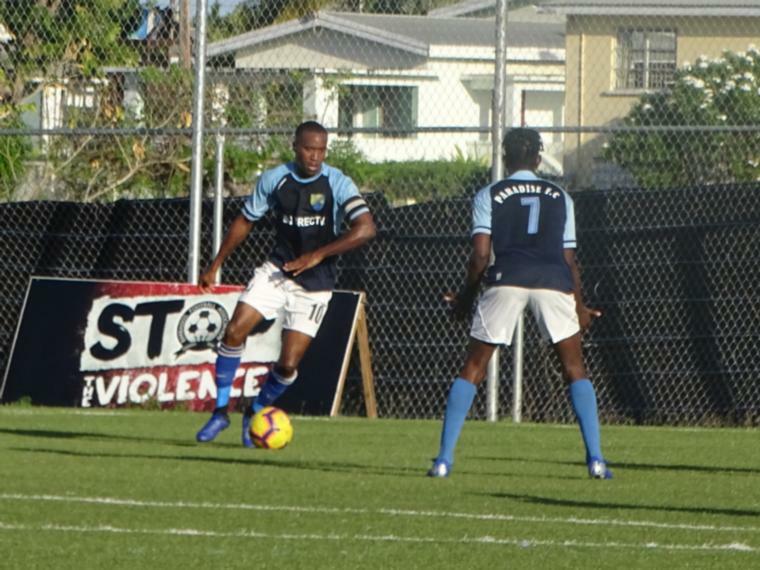 Playing on Sunday at the Wildey Turf, two first half goals had the hosts sitting pretty although they were unable to extend their lead in the second. The hosts were up in the 5th minute when a cross came in from Jamol Williams on the right. With the lob coming off the head of captain, Andre Applewhaite, St. Kitts custodian, Zian Drew was able to save a near post. However, the ball dropped to Devonte Richards right in front the bars and he easily slotted home. In the 34th, the Bajans pulled away again when Nathan Skeete was left unattended in the box on the right. With a through-ball coming from Applewhaite on the left, Skeete comfortably wound up and took a shot that sailed to the far post past a diving Drew. Barbados came close to a third in the second half when Abiola Grant got away just outside the area and put a cheeky lob over the keeper. However a defender was there to clear the ball off the line. Speaking during the post-game press conference, St. Kitts and Nevis Coach, George Issac commended the Barbados team on the win and that it was back to the drawing board for his team as they ready themselves for the same competition. “The game was very competitive at the end and I must say congratulations to Barbados. They played well. They played very well. They controlled the game and pushed around the ball. The players understand each other and I should compliment them for that.” he said. 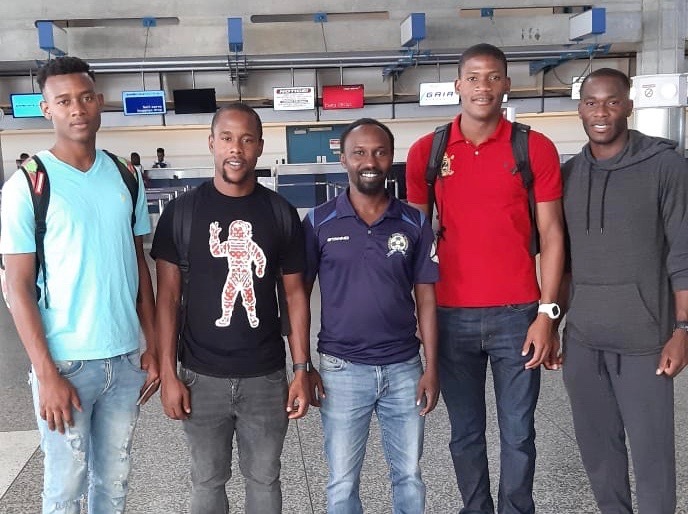 Barbados Coach, Renaldo Gilkes said that he was pleased with the outcome of the games but that there were some adjustments to be made ahead of the qualifier in May as the technical department would be making their assessments and evaluations. “These games we would have played – we played Antigua last week on Wednesday and Thursday and then St. Kitts today – these games served the purpose of preparing us for what is considered a very challenging group. 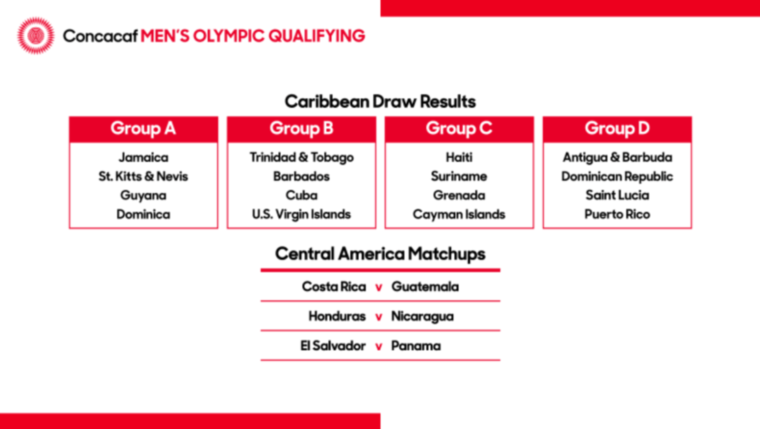 Not an impossible group but a very challenging group where we face the United States, Canada and Guatemala – teams that are considered heavyweights within our region. With the result being secondary, we use these games to try to execute some things that we were working on at practice. 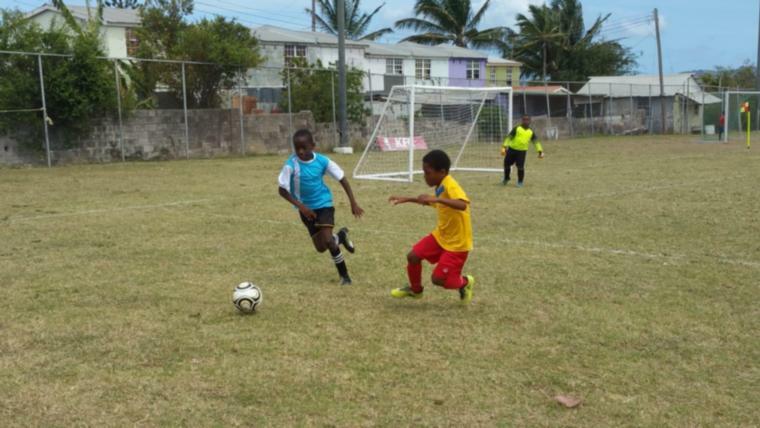 So even though the result may have been favourableover these encounters, there's still a lot of work to be done.” he said before going on to add that the inclusion of some of his playersto the Barbados Premier League and Division 1 helped to boost the maturity of their game. Captain Applewhaite said that he was pleased with the performance of his boys and was looking forward to the Concacaf competition. “Tonight the boys did well. We did what the coach asked so we came out successful. These games will lead up to the Under-17 Concacaf Championship in Florida and I guess that with all the work that has been done in training and put out in the matches, we can face this tough group.” he said. Midfielder, Axel Funk echoed the sentiments of Applewhaite and said that he had high hopes for his t team in the upcoming competition. “I believe the game was good and you can see some of the things we have been working on at training are starting to be implemented into the game now. Slowly but surely our coach is really pushing it with us and I feel that slowly everybody is starting to learn their role in the team. I feel like everyone is starting to mesh better and the football is playing a lot better than it was two or three months ago. I definitely believe that we can go to this tournament and fight for it. I believe that we have the players and we have the support behind us. I am looking forward to it.” Funk said.